Wow – time sure does fly! 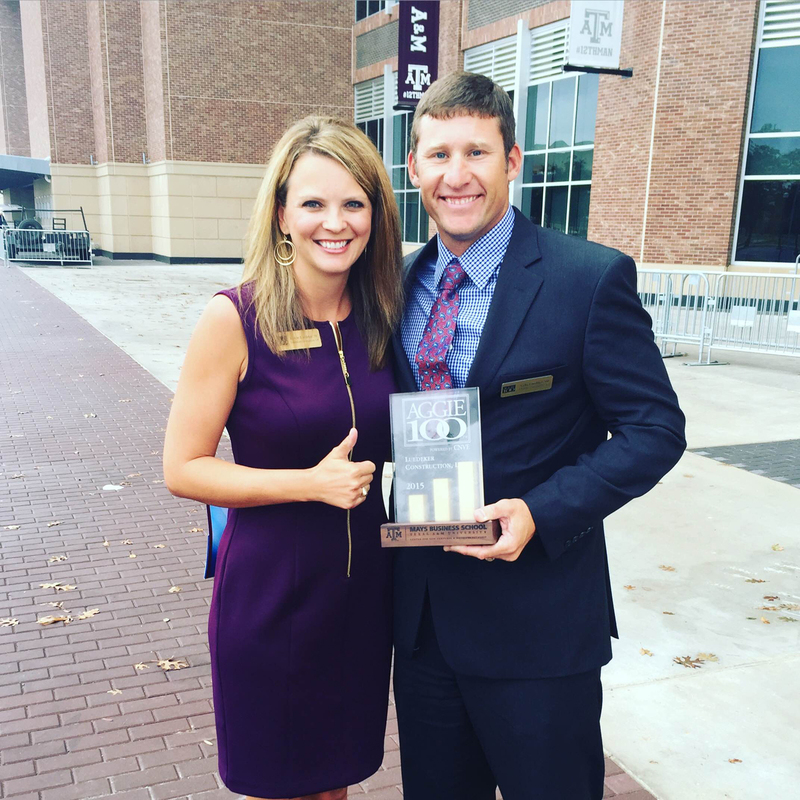 Ten years ago, Luke started Luedeker Construction with the intent of providing a very personalized service for a product that had turned into a commodity during a booming housing market. Ten years later, the market has evolved, but our commitment to quality remains unchanged. We decided it was time to re-brand our business to clarify our core business. We are thrilled to introduce our new logo to you! With help from our fabulous designer Barbara Holland of Blackstone Studio, we were able to create an image that would represent our company. Each project is very special to us. Over the years, we have experienced some incredible customers and each situation has been unique. We have extended our family by the relationships we have created with our customers. 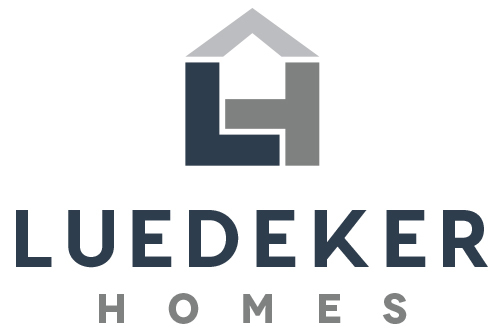 It seemed fitting to change our name to Luedeker Homes. Seems simple enough, right? 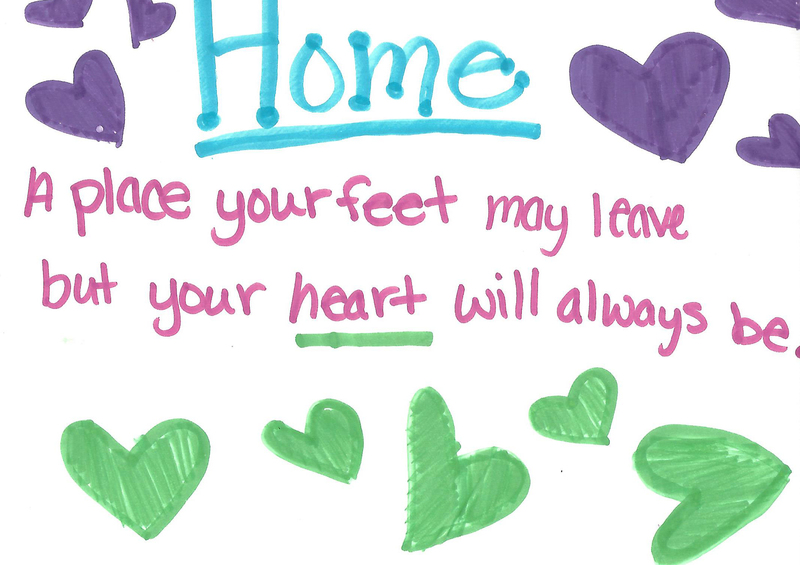 However, “homes” is much more than a word to us. It reflects the very sacred place that our customers experience this thing we all call life. To us, a home is not a product or commodity. It’s a personal investment that we take very seriously. To help us in our re-branding efforts, I called on some very talented little people in my life. 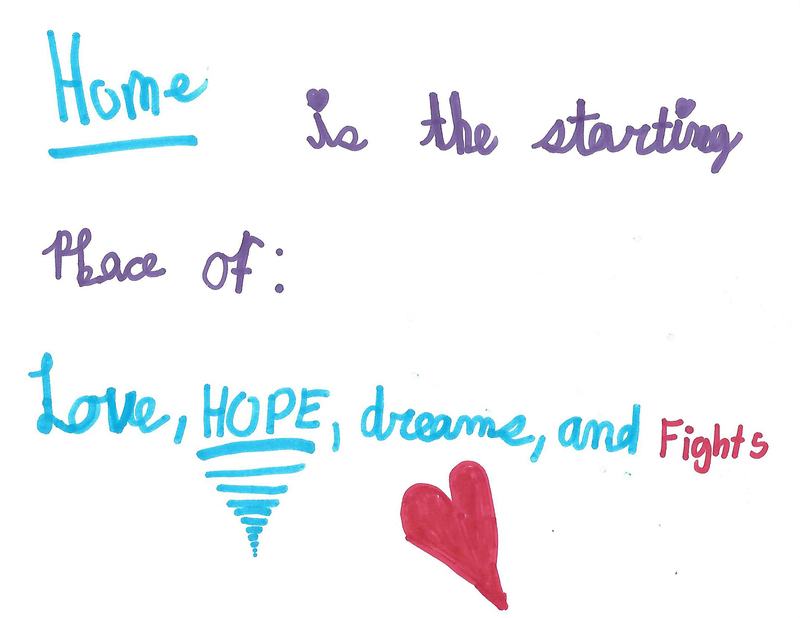 I told them to draw or write what home meant to them. I’d love to share some of them with you! We are also creating a book for our office. Here’s a sneak peak of a few! This first picture is from a kindergartner. I remember getting to talk to her about paint colors for her room well before she was five. What fun to watch her grow! 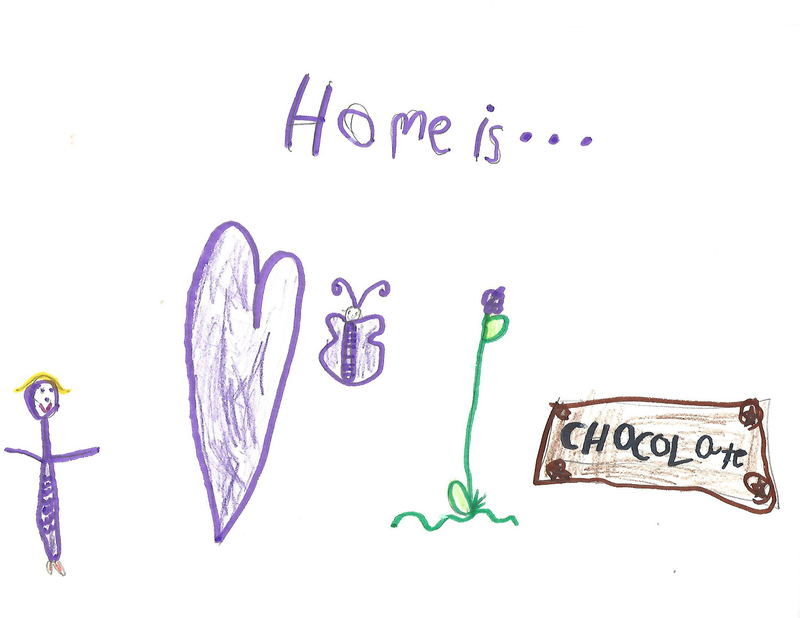 She defined home as “happy, love, joy, chocolate and her little brother”. This second picture makes me giggle because this young lady is always giggling in our home or hers! I had a feeling that Google may have led her to this saying. She giggled and admitted that was true! Kudos for the honesty! This little one sure could sweep the floors during the construction phase. I mean she can clean! I would hire her one day! Now this picture is extra special because it’s so brutally honest. A family owned business isn’t always easy, and I admit that we have our fair share of “discussions” working together. Didn’t I say that a home is where life happens? That doesn’t mean it’s always roses. My daughter did this one, so it’s appropriate! 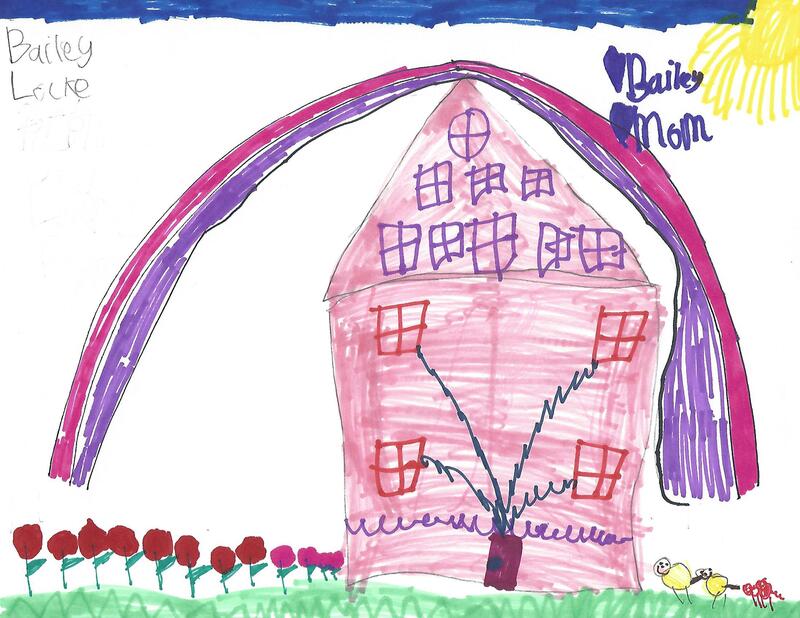 We love color, and this little sweetie drew her heart out! I loved that she would frequently visit the job site and was so excited to have her very own brand new room! Now I get to watch her grow in her home through pictures, and each time one pops up on Facebook it makes me happy. I have many more to share on another day. You may just have to come visit us in our soon-to-be-office on the square in Bellville! One little artist got really into the request and did a full painting. I can’t wait for it to be on display!